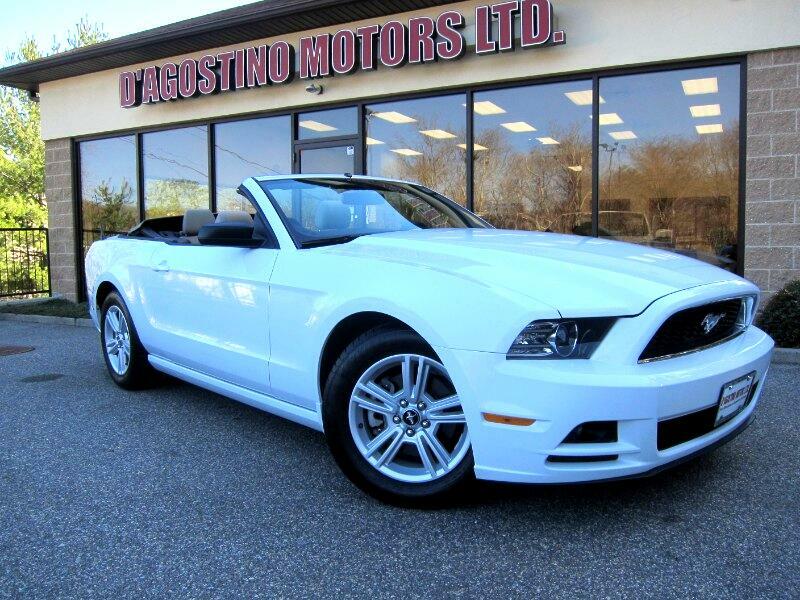 Used 2014 Ford Mustang V6 Convertible for Sale in Smithfield RI 02917 D'Agostino Motors Ltd.
NEW ARRIVAL !!! IT IS THAT TIME OF YEAR AGAIN !!! CONVERTIBLE SEASON !!! THIS ONE IS ALREADY TO GO !!! COME TEST DRIVE IT TODAY !!! THIS IS A NICE ONE WITH LOW MILEAGE !!! ONLY 28,000 MILES !!! CLEAN CARFAX !!! PIONEER AUDIO SYSTEM !!! POWER CONVERTIBLE TOP !!! BLUETOOTH PHONE CONNECTIVITY !!! MULTI FUNCTION STEERING WHEEL !!! Come Experience the D'Agostino Difference! We Go Through our Vehicles with a Fine Tooth Comb from All Mechanical Aspects to an Extensive Reconditioning and Detailing Process, Expect to View the Cleanest Vehicles in New England Guaranteed !! !